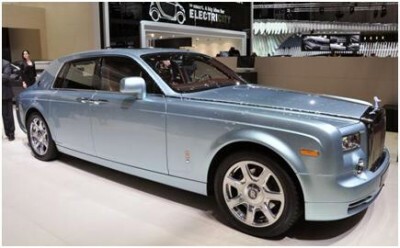 Since Rolls Royce unveiled the electric 102EX Phantom at the Geneva Motor Show, 2011, this electric car has received rather lukewarm response from wealthier customers of Phantom around the world. They are apparently apprehensive about its range and not willing to wait for an eight hour charging. Although industry experts and automotive writers are quiet happy with its performance, the electric luxury will never make it to production. The readers will be sad because this electric marvel will remain in just imaginations. Given after the break are some good reasons why the car is worth falling in love with. Experts, who got a chance to drive the car, claim that its silent acceleration and massive torque are perfectly suited for the size of a car like Phantom. The gasoline powered car boast of 453 horsepower 6.8 liter V12 engine that gives an estimated range of 120mph. This configuration complements the extremely large and heavy sedan, whose weight stands a little over 5,500 pounds. According to EPA estimates, the car will get 11 miles per gallon in the city and about 18 miles on the highway. When Rolls Royce customers were surveyed about the car, an odd 500 among them were said to prefer a V12 and for them the torque was no balm for the range of the car at 100-120 miles. Those individuals who think that battery-powered cars should be lightweight and streamlined are in for a shocker as Auto Express has learnt that Rolls-Royce might be eyeing electricity powered Phantom. The news broke as a company spokesman let slip that a battery-powered Phantom is something that the company is considering. The excess weight of the battery won’t be a consideration factor in a car that weighs close to three tons with a V12 petrol engine under its hood. The car could be powered by lithium-ion cells and offer a near-silent operating and huge reserves of torque available from zero rpm. What a company has to offer is to give this beast a large battery bank that can provide it a decent range. Rolls-Royce could also be considering a range-extending engine, somewhat similar to the one showcased by the parent company BMW in its Vision Efficient Dynamics car that broke ground at the Frankfurt Auto Show, which could charge the batteries on the move. 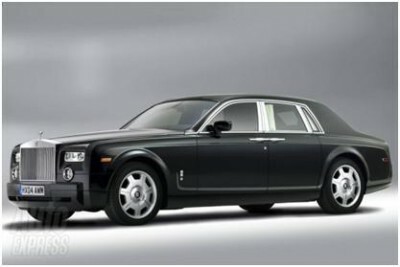 Company concept of eco-friendly Rolls EX 102 Phantom has been highly appreciated in the world and car will broke the all the previous SUVs electric performance if it is decided to carry it further.